Famous Indian journalist/playwright Aruna Harjani has written a new comedy West Bollywood that will play at the Matrix Theatre for 4 performances only beginning July 27. Due to its controversial subject matter about two gay men, one American and one Indian - who become a couple, the play has been banned in many countries. In our conversation Harjani talks about the highlights of her illustrious career and tells of her excitement at finding what she feels is the perfect place to produce West Bollywood. Tell us in your own words about your play West Bollywood, its plot and characters, and why it was banned in seven countries. West Bollywood is a story of two men Pratap and Daniel who fall in love and get married. What Daniel didn't know was that he had to adapt to the Indian culture. So the cross cultural exchanges between an American and an Indian become the platform for the play. It is banned in many countries because the play is about a marriage between two men and many countries and its people haven't accepted the issue. Is this your first play as an adult? I understand you wrote 3 or 4 plays as a young child. Tell us about your love of writing, how it started, and how it progressed. This is not my first adult play. I have been writing and directing plays over the years and most of them have been successful. I have been writing since the age of ten. I started with a short story and won first place in my class. When I was gifted with a notebook and a pencil, it triggered me to continue. Our school didn't have an auditorium so our plays were held in classrooms. I would direct plays and my teachers and classmates would look forward to watching them. I took a course on Mass Communications and for my thesis I made a documentary film on a prison camp in Manila. The thesis won third place at the Experimental Cinema of the Philippines. I understand that you have been a freelance journalist in Indonesia. Tell us about that. Do you have a favorite story? Yes, I am a freelance journalist and write profile stories on well known celebrities. One of my favorite ones was the interview with Cipurtra who is known for his ardent desire to build Indonesia. His life story inspired me because once upon a time he used to walk miles to go to school but from sheer hard work, he is now riding in the best cars. At this point in your life, why is playwriting more heartfelt than journalism? In playwriting you share your story of how your perceive life. I can relate lessons in life to teach the audience and inspire people. When it is staged the audience can see what your are trying to say, In journalistic writing you can bring in emotions but the reader can't see it, thus the style of writing differs. West Bollywood sounds quite humorous. How did the idea come to you and what made you decide to turn it into a comedy? Something just popped up in my mind when I was writing the play. It just struck me why not not have a gay marriage for a change. It was a comedy already when I wrote it because having two men with two different backgrounds get married is already hilarious. Tell us in detail about your award-winning documentary feature in the Philippines. I was only 18 years old, and we were told to compose a thesis. My brother gave me an idea to use the topic of the prison camp in Manila, When I consulted my two other partners, they both agreed, There it was, the content was the edge of the film, because we had prisoners explaining their plight inside the prison. Based on your documentary experience with film-making, do you have any desire to possibly turn your play into a film? Talk about Los Angeles and why you feel it is the perfect place to present West Bollywood. West Hollywood is a prominent place for gays, and there is easier access for them to watch the play. Many gays can relate to it. Yes, I agree. And you should receive helpful comments from those industry related gays who see it. This brings me to ask whether you like criticism. What is your process as a writer? Do you like to constantly rewrite and revise or are you more than satisfied with your first draft? When I write an article or play, I write it and then leave it for the next few days. I go back to it then and conduct a rewrite. My works have a lot of revisions. Yes I live in Indonesia. Would you consider living in the US if career opportunities come about? I will decide on living in the US when the time comes. What cultural difference is the most inviting and exciting for you in this country? Americans are more broadminded in their outlook on life. Thus there are more opportunities here to express oneself. Tradition is turned upside down, and chaos ensues in this Cinderella spoof with plenty of Bollywood music and dancing. The 4 show limited engagement runs Friday, July 27 – Sunday, July 29. Friday and Saturday at 8:00 pm; Sunday at 3:00 pm and 7:00 pm. $25 General Admission tickets are available at https://www.plays411.com/newsite/show/play_info.asp?show_id=4841 Reservations and information: (323) 960-7822. Matrix Theatre, 7657 Melrose Avenue, Los Angeles. 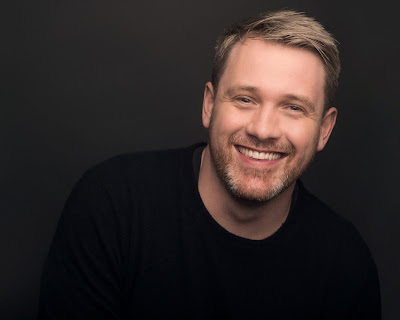 Actor/director/writer Michael Arden needs no introduction. He was nominated for a second Tony this past season for directing Once On This Island and is the first Artist.In.Residence at the Wallis Annenberg Theatre here in Los Angeles where he has directed Spring Awakening among other productions. In our conversation he talks about directing Annie at the Hollywood Bowl and why the show is still a popular revival. 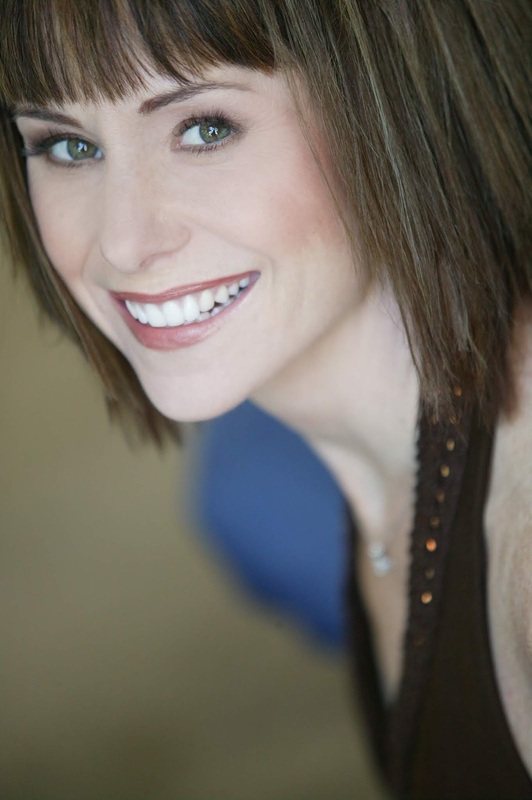 What is the most interesting aspect of Annie for you as a director? I am most excited by the prospect of doing something that is incredibly beloved on such a large scale and with such talent. It's a show that almost everyone has a personal connection with, so I want to honor that feeling as well as shed a little new light on the material. Why do families everywhere continue to love it so? I think there’s something incredibly unifying about the forging of an unconventional family. So many families are made by love and out of a sense of moral responsibility, as opposed to simply blood relation. It’s a story about love being bigger than political, social or circumstancial differences. What challenges do you foresee for the Bowl stage? It’s enormous! There are very intimate book scenes and moments that I want to make sure come across as honest and true, all while making sure the audience at the back of the Bowl feel like they are in the scene as well. What are you adding or taking away in this production? You’ll have to come and see! I am hoping to reflect back, with this production, the incredibly beautiful and diverse tapestry that is Los Angeles. Talk about your casting and about your individual cast members. It’s really an embarrassment of riches here. We have Broadway vets, comedic geniuses, bold new talent, and a spectacular bunch of kids. I can’t wait to get in a room with them all. Congrats on your Tony nomination! If you remember, I told you you would have won a Tony for playing Quasimodo if Hunchback had gone to Broadway. Now I hear you are leaving acting behind. Tell me that is not true. You are too good to abandon acting, even though you are an excellent director. I haven’t been getting the calls as much these days for acting roles. Perhaps I was spoiled in playing Quasi, who is such a layered and beautiful character. I would absolutely perform again. Let’s see if anyone asks. I’ve been fortunate to stay incredibly busy as a director the past few years, and that’s one way to play all of the roles at once. What else is in the wind? What's up for you at the Wallis? Any singing engagements/cabaret performances planned? I am thrilled to be developing a new version of A Christmas Carol starring the incomparable Jefferson Mays at the Geffen this Fall. Annie will take place at the Bowl on July 27, 28 and 29th. It will be helmed by director Michael Arden ... and conducted by Todd Ellison, and choreographed by Eamon Foley. Annie's book is by Thomas Meehan, music by Charles Strouse, and lyrics by Martin Charnin. Annie, the classic story of a young girl overcoming adversity, features a beloved score of hits (including "Tomorrow" and "It's the Hard Knock Life") and is a delightful experience for the entire family. Subscriptions and single tickets for performances during the Hollywood Bowl 2018 summer season are available at hollywoodbowl.com, 323 850 2000, or in person at the Hollywood Bowl Box Office.